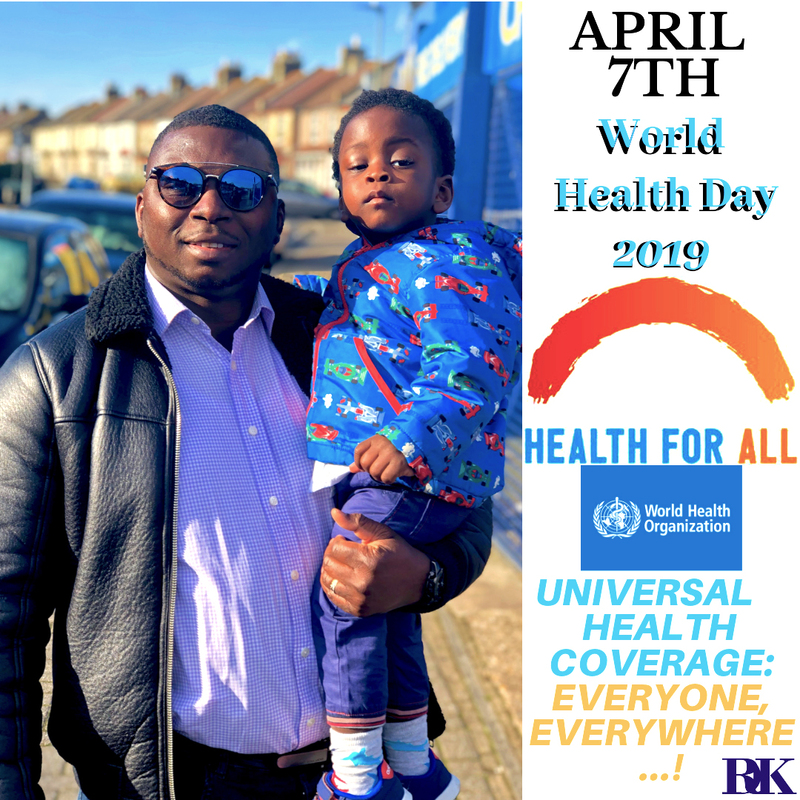 Today is World Health Day 2019 and on this special April 7th, the World Health Organisation (WHO) in partnership with all stakeholders have decided to switch all focus to UNIVERSAL HEALTH COVERAGE, with an emphasis on PRIMARY HEALTHCARE FOR EVERYONE, EVERYWHERE! The big question on many ignorant minds would be,"why universal health coverage for everyone, everywhere?" 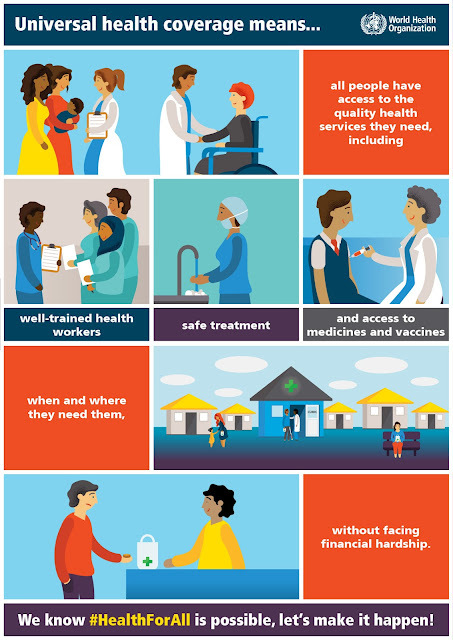 I perceive some Health related professionals responding by asking "why not?". 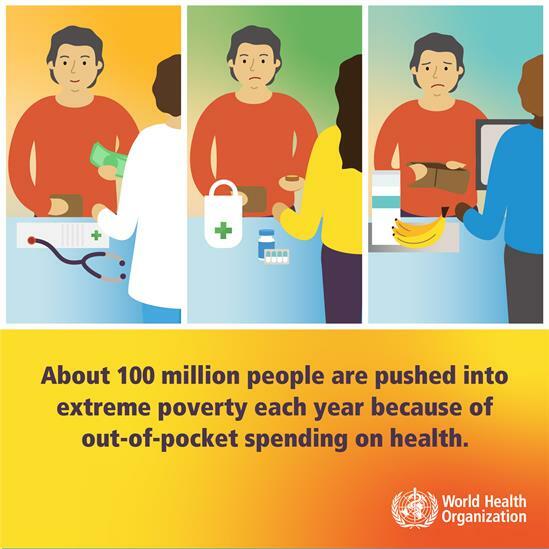 The reality is that, if you happen to be part of the 100 million people or more worldwide,who have to struggle between going hungry or homeless, with not even enough funding to afford basic healthcare, you will realise that there is need for every one who can help in anyway, to do what they can to ensure that, primary healthcare is accessible to everyone, everywhere all around the world; even if it means basic information of what to do and where to go, when the need arises. In line with this fact, WHO has urged all of us who can help with information dissemination, to do so actively because a problem better understood, is on it's way to hopefully being solved. 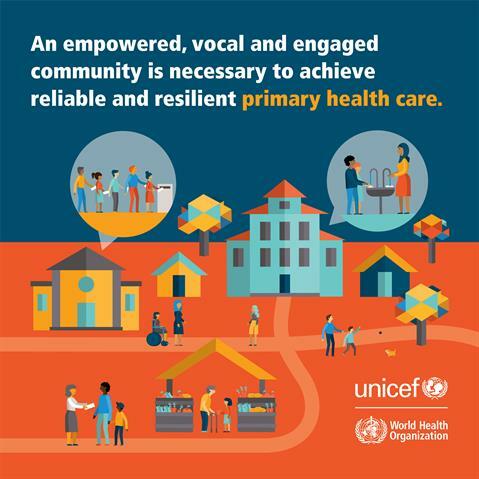 The video below and other WHO Communication materials will summarise all you need to know about: the problem and global call to action on this special edition of World Health Day. 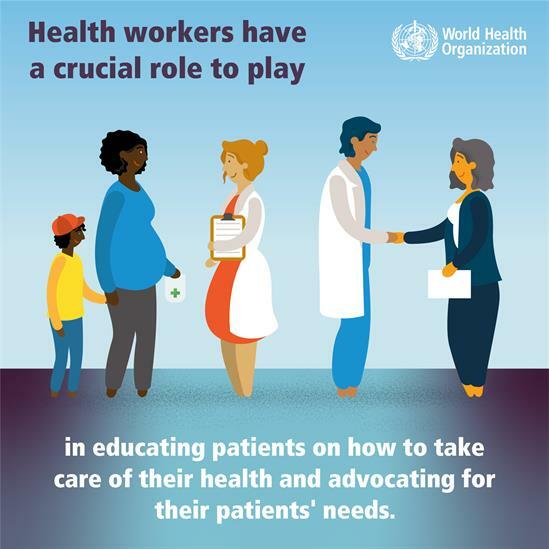 To lend a voice at once, you can sign the WHO "Health For All - Petition" by clicking in. 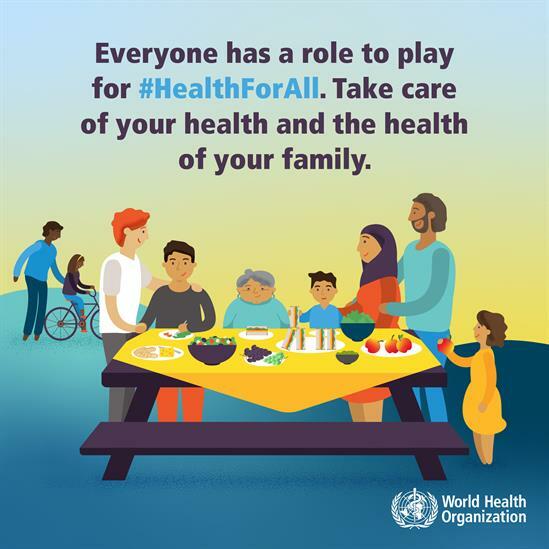 Many thanks in advance.